My friend and I made this easy lunch for her daughter. It was a natural theme for her since she takes dance class. 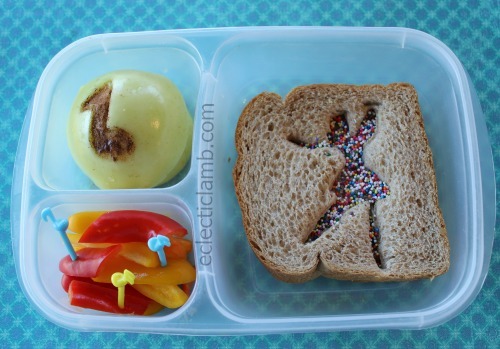 This entry was posted in Bento / Cute Food and tagged Cookie Cutter, dance, EasyLunchboxes, sandwich. Bookmark the permalink.